Though the launch probably won’t come until 2019, more news and rumors are trickling in about the new Defender, including a test mule of the short wheelbase version running around England. A few weeks ago, we saw the first camouflaged test mule of the new vehicle, a long-wheelbase 4-door model. Now there’s a similar vehicle running around, a short-wheelbase 2-door. Overall, except for size, there’s not much to glean from the new mule as far as design cues are concerned. It’s masked in the same places the larger one was. So, there's not much to learn there, except a “Defender 90” variant will definitely be available. Rumors say that the new Defender will retain the recognizable “90” and “110” names, even if they don’t match the actual wheelbases. Considering that the old 90 actually had an almost 93-inch wheelbase, that's not too sacrilege. Car & Driver has done some serious further research, combing the depths of the engineering staff’s public social media profiles for clues. There are a few juicy tidbits they dug up, though nothing will be confirmed by Land Rover corporate. The new Defender has an official internal codename of L663. Each vehicle Land Rover makes has a code that starts with L, but except for some Range Rovers (the full-size third and fourth generation are very commonly known as L322 and L405), they aren’t used much outside the company. It’s also got a project code name of “Darwin” – appropriate for the evolution of an icon! Signs show it sharing the D7U platform with the Range Rover Sport and Discovery. If so, it would be different from previous news that it would kick off a brand-new platform that would be used across Jaguars and Land Rovers in the coming years. There’s also hints that training to build the new vehicle has begun in Land Rover’s brand new plant in Nitra, Slovakia. 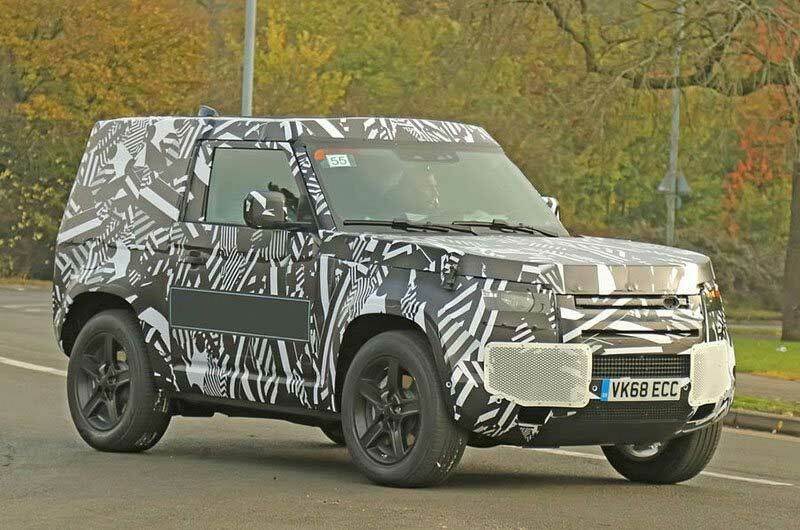 There have been suggestions for a while now that it will be built alongside the Discovery there, to take advantage of the huge new plant and lower costs, but this seems like it is all but confirmed that the Defender will not be built in Britain. As for tech, it looks like the Defender is getting a high-tech instrument cluster that will be shared with the Jaguar XJ, and for the first time, a digital instrument cluster (a feature that's appeared in many models for a few years now) will be built in-house. It may include a gesture recognition camera that can be used to adjust settings like the stereo and climate control, which is available on the new BMW 7 Series. This maybe sounds a bit excessive for a Defender, but if this interface going to be used across both brands in the next few years, it makes sense to use it in the Defender instead of developing a separate system. Reports of hybrid and electric versions continue and have been expected for a while in line with JLR’s statements that all vehicles will be available in hybrid or electric form by 2020. One last interesting point Car & Driver dug up was a German company that seems to be creating a camper roof for the new vehicle. That information could mean various things - either a semi-approved aftermarket modification or a Land Rover-approved Westfalia-type camper program. The latter might be their plan to capitalize on the recent overlanding trend and keep more of that market's profits in-house. It’s still many months until the new Defender is totally and officially out in the open, but until then we continue to get new tidbits. At this point, the best summary: it’s coming, it’s probably coming in late 2019 or early 2020 as a 2020 model, and it will be very different from the old one.